Anyway, I have given myself the chance to spend a week focusing on a project. On myself. And it feels so freeing to do so. In Cahoots Residency is in its very first year and founded by Macy Chadwick, a book artist and letterpress printer. 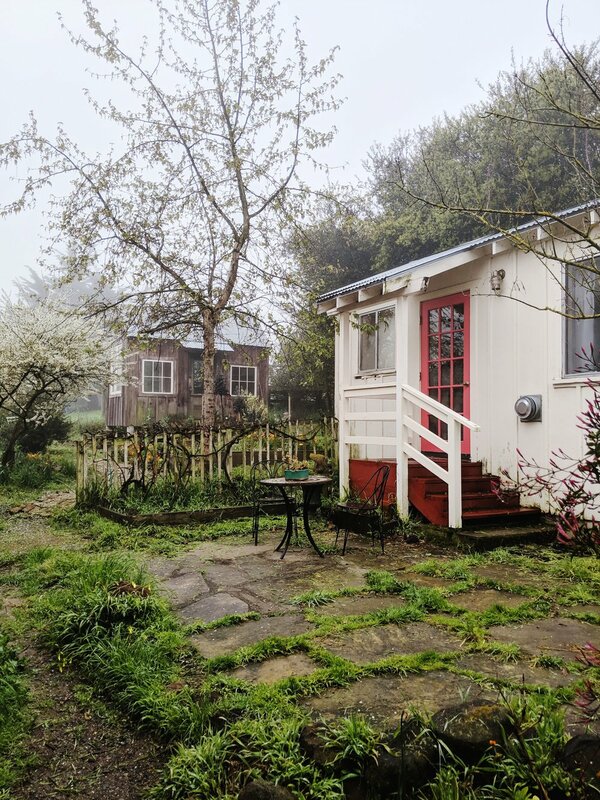 After having a home studio in Oakland for many years, she set her sights on finding the perfect pastoral property and landed in Petaluma, CA. 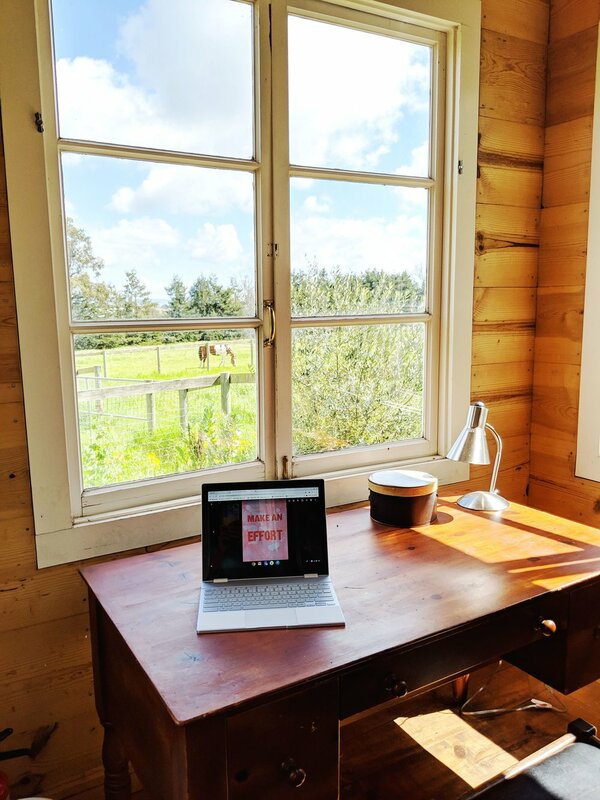 She transformed the old barn and horse stables into a light-filled printmaking and letterpress studio and the three cabins on the property are as welcoming as can be. I called Knotty Pine home for the week and I’m sure my love for yellow had a little something to with room assignments! Look at these floors! They brightened up my day even though it was raining the majority of the time. I came with the intention to continue working on The Friendship Project. (Update: it has been on a bit of a hiatus as I just haven’t been making time in the shop and also secretly knowing/kinda serving as a deterrent that I’d have a week to really focus on.) I am here and I am focused. After a quick little count, I had a mere 108 responses to print!! Equipped with a semi automated press that rolls the carriage down and back (and saving me an extremely achy shoulder) and a huge collection of wood type donated from Jan Baker’s estate, I challenged myself to see just how many posters I could print. With a slight hiccup of breaking the press and it needing new electrical (oops! ), I feel really proud of what I accomplished and am returning home feeling motivated and refreshed. Wanna guess how many I printed? ?